A Translator, supporter of LibreOffice in Japan. Also a member of OpenPrinting and an Ubuntu lover. I'm Naruhiko (NARU) Ogasawara, from Japan. 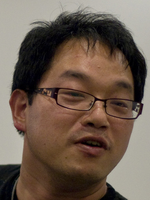 A member of Japanese translator team; mainly translates/reviews about Printing related words, LibreOffice Math, etc.